“. . . To Declare Christ . . .” (Colossians 4:3-6). We desire to declare Christ wherever God takes us through life. Whatever language we are speaking we desire, through God’s strength, to declare Christ. God has given us opportunities in various ways through life to declare Christ. Praise Him! God has brought us through various places in ministry such as Guyana, SA; Peru, SA; Utah; and now Colorado among the Hispanics. We give thanks to God for continuing to use us in various locations even as He has used various missionaries throughout various locations down through time such as Paul, Silas, and Barnabas declaring Christ as they go. After being in full-time ministry since the fall of 2007 in such places as Guyana, SA; Peru, SA to Utah, USA God directed us to minister to Hispanics in the fall of 2012. 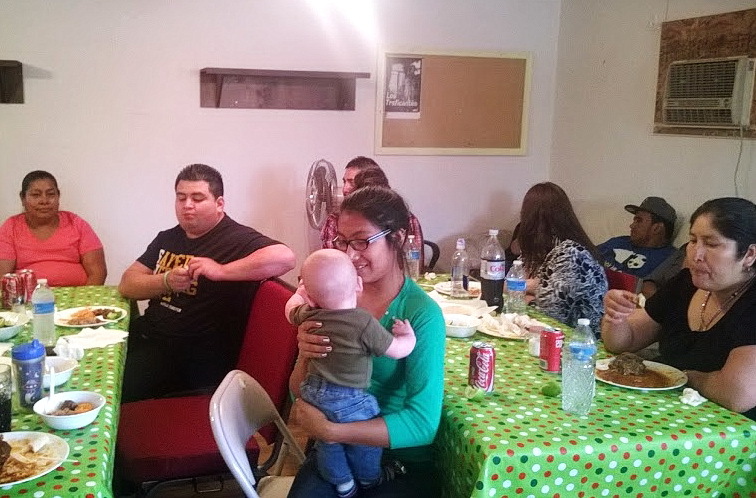 The Colorado Hispanic Ministry in a sense started back when we returned from Peru, SA. 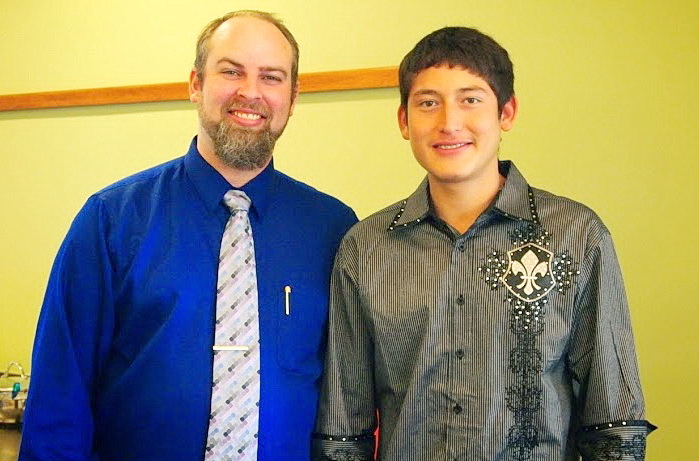 Pastor Charlie of Grace Bible Church in Parachute, Colorado asked us in the summer of 2011 if we would be interested in ministering to the Hispanics in Parachute, Colorado. 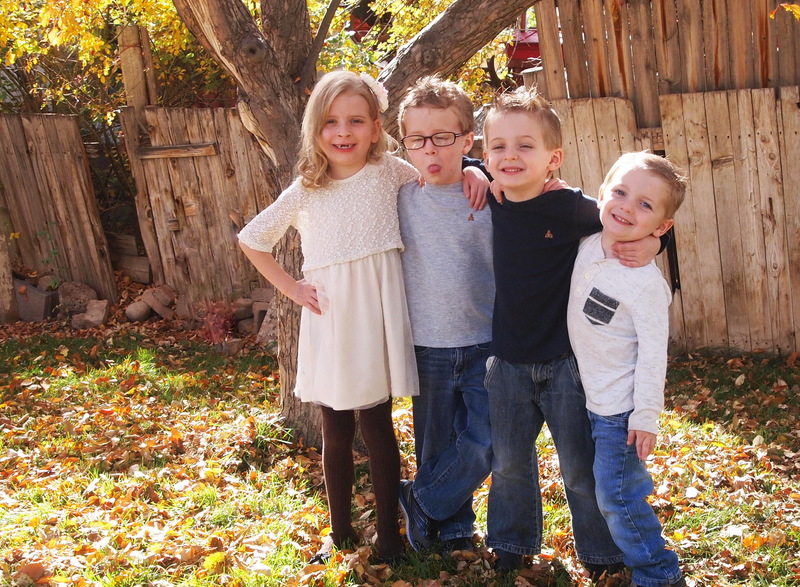 However at that time God directed us to help in a small church in northern Utah. Around 1 year later God directed us to work with Hispanics specifically starting in Parachute, Colorado. 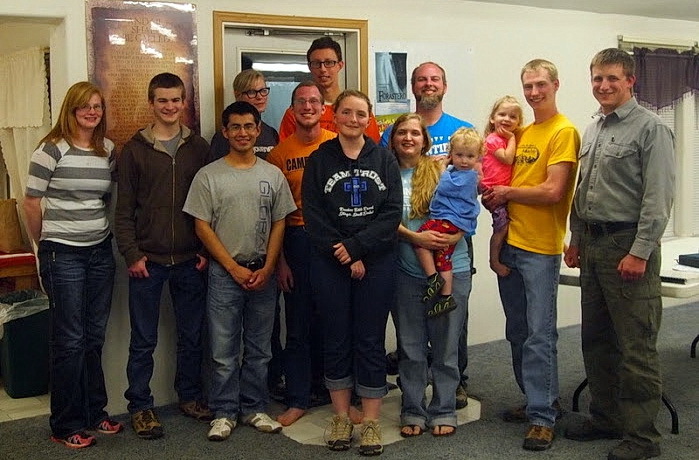 In September of 2012 we came to minister in Parachute, Colorado with a goal of starting/planting a Hispanic Church. We are enjoying getting to know various Hispanics here. On Resurrection Sunday, March 31, 2013, “Casa de La Biblia” (House of the Bible) church was begun in a public room of the Parachute Public Library. 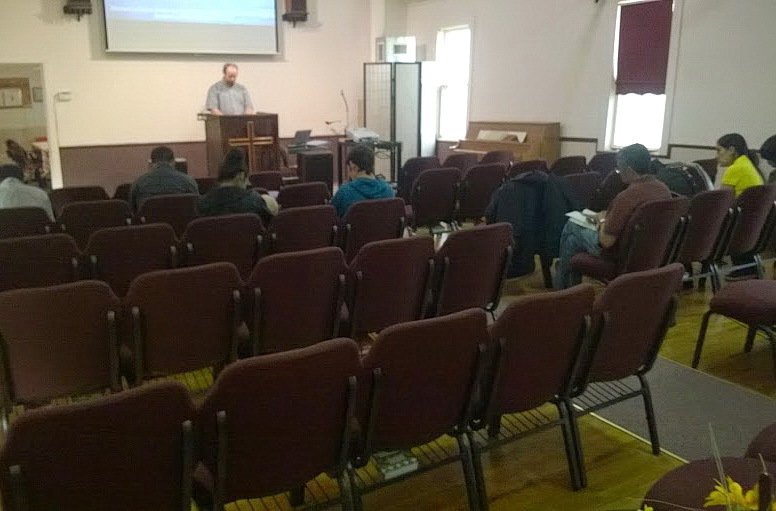 In May 2014 God provided us with a building to meet in which was another church that was closing down. Then in November 2014 that same building was given to our partnering church “Grace Bible Church” for the purpose of the Hispanic/Latino ministry. This is the facility we now meet in. I was born on March 12, 1981. I give praise to God for my parents, Delton & Joleen Koehn, who raised me in God’s Word. They have impacted my life in more ways than I know. I trusted in Jesus Christ as my Savior around the age of 9-10. I grew up in various settings from Texas, New Mexico, California and Utah. I believe this portion of life was God’s way of training me for future cross-cultural ministry. In Utah I attended a community college for a short time. Then I had a computer graphics business. While in this business, God directed me to be involved in ministry as a full time commitment. 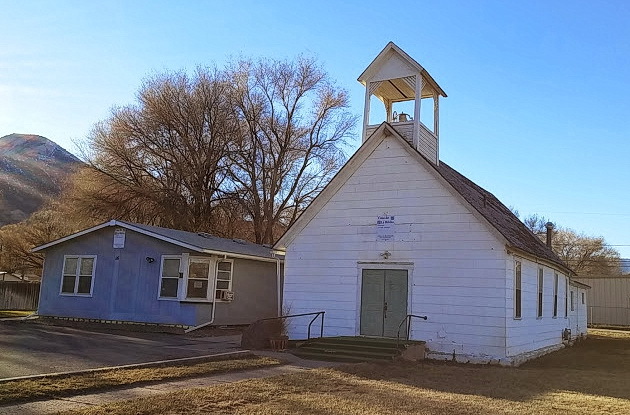 In the fall of 2004, God took me to Frontier School of the Bible (FSB) where I graduated in the spring of 2007 with an Associate’s Degree in Missions and a minor in pastoral, and a second minor in youth ministry. I believed, and still believe, as a missionary you need to know all three of these areas well. For the first time, in the fall of 2007, I stepped into full time ministry with One Way Evangelical Ministries as a missionary in Guyana, S.A. I served God for 7 months in Guyana while also fulfilling my internship for FSB. I graduated spring of 2008 with a Bachelor’s Degree in missions. 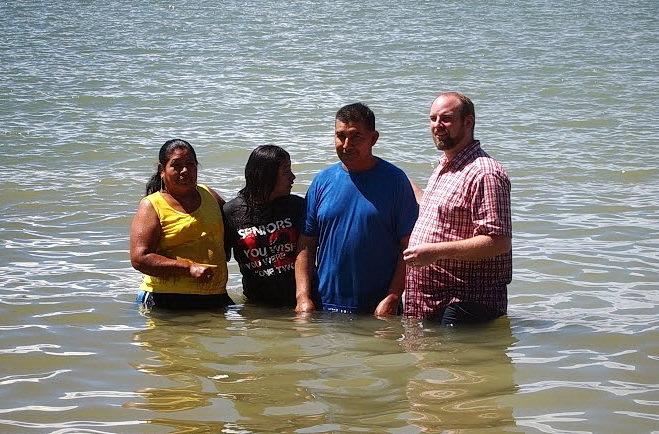 While in Guyana, God directed me to be involved in church planting and He began opening doors in Peru, S.A. In the fall of 2008 I went to Peru for 3 months. After that I joined Tentmakers Bible Mission as a missionary and went back to Peru summer of 2009. Also, during that summer, I started dating Bethany. In February of 2010, I came back to the States and I and Bethany were engaged. We got married on June 5, 2010! Three weeks later we were in Peru as a missionary couple. Around 2 weeks after that we were filling in as missionary pastor and wife in a church in Tarapoto, Peru that I had been helping with previously. We were in Peru around 11 months before God directed us back to the States with a specific location He had been laying on our hearts. He directed us to Coalville, Utah to work among the Mormons whom I had gotten to know some while I lived in Utah off and on since I was 15. While ministering in Coalville, Utah we would get to talk with Hispanics in Wal-Mart and others stores and God used this to help in directing us to work among the Hispanics in Colorado. 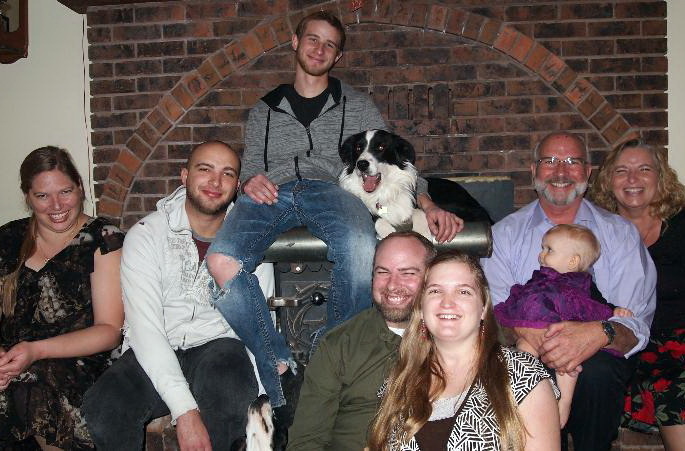 We moved to Parachute, Colorado in September 2012. God used every step in our lives for the next step. For example, He used evangelism and discipleship while working alongside John Cook in Guyana to help in our sharing the good news of salvation in Peru, etc. and in discipling in Peru and Coalville and Parachute. 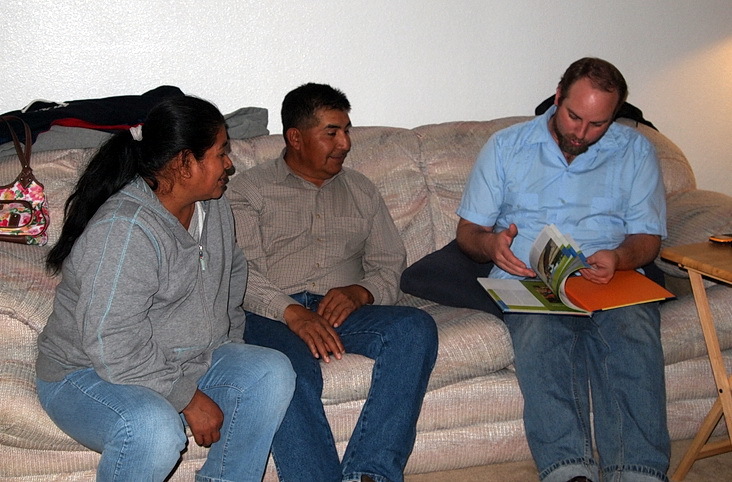 Learning Spanish and learning about culture in Peru enabled us to work among the Hispanics. 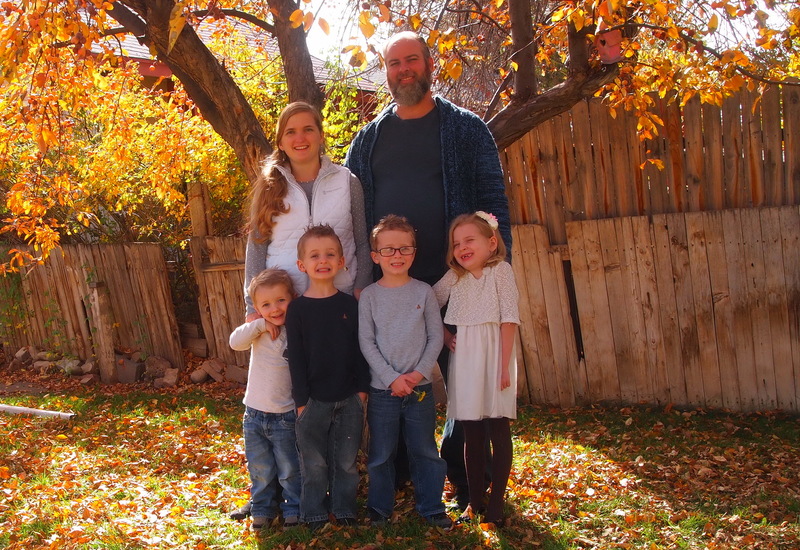 He used the daily life in Coalville, UT as missionary pastor and wife to help with the daily life of ministry in Parachute, CO. We praise God for directing us to each step that has been so important for the next step. Check out Acts 16 for a great study of God’s direction! I was born on April 22, 1989 in Delaware. I grew up in Montana and was raised by believing parents. When I was around 6 years old I trusted Jesus as my Savior during a family devotion time! I grew in the Lord through my parent’s guidance and attending church. When I was 8 years old I felt God “calling” me to missions. Over time God tempered this “calling” that I felt and honed my desire to serve Him in missions through teaching me from His Word what His direction and instruction looks like. One of the ways that He clearly showed me why and how to serve Him was through Bible College. 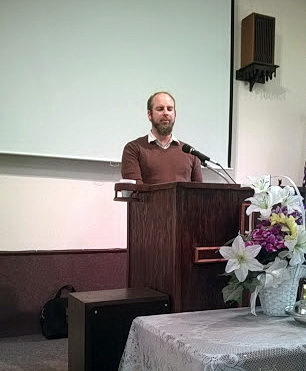 I attended Frontier School of the Bible and graduated in spring 2010. During my time in high school and Bible College, God allowed me to serve Him in a variety of ways. I enjoyed working with children and teaching them about Jesus & God’s Word. I was given the opportunity be a camp counselor on several occasions and enjoyed the privilege & challenge of being a Resident Assistant at Frontier School of the Bible. I also went on a 2 months missions trip to Peru, S.A.! It was during this trip that Jonathan and I started to get to know each other and we began dating soon thereafter. I joined Tentmakers Bible Missions after I graduated from Frontier School of the Bible with an Associate’s Degree in Missions. After Jonathan & I married in June 2010 we ministered in Tarapoto, Peru for 11 months. 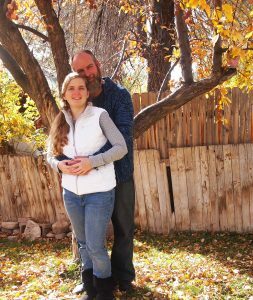 God directed us to come to the USA to minister and so we moved to Coalville, Utah in the fall of 2011. 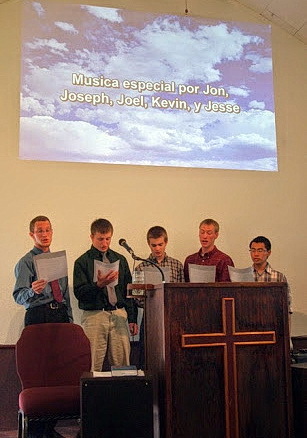 After serving the Lord as pastor & wife at a small church there for 1 year, we saw God directing us back into ministry with the Spanish-speaking. So, we followed His direction to Parachute, CO where we are currently planting a Spanish-speaking, Hispanic church. I am so glad to have followed Jesus thus far and look forward to following Him alongside my husband until He takes me Home. Hadassah was born on November 13, 2011. It has been such a privilege to hear her understanding of God’s Word as it grows day by day. She loves to sing and is our little talker. She asks from time to time how to say words in Spanish. She is our little Latina gal as she loves spicy Cheetos. Ezekiel was born on December 27, 2012. He likes to get out and about and is our outdoorsy boy. He seems to be picking up Spanish the most naturally. He is our little Latino guy as he loves limes. Elisha was born on January 27, 2014. He is now our little cuddle bug and loves music. We have a personal website link to our blog at: http://www.customgraphicwork.com. 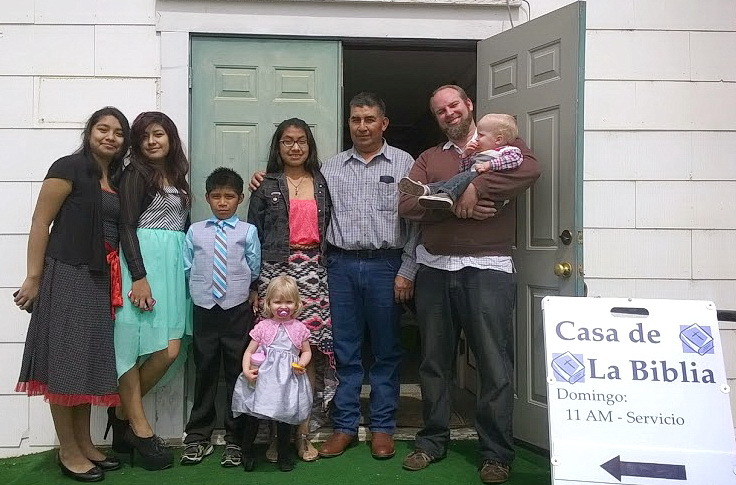 We also have a blog for our church plant, Casa de La Biblia, at http://casa-de-la-biblia.blogspot.com. The Church’s blog is in Spanish but there is a translation button that will explain it in your language. We also have a website where Jonathan has programmed a tool available for free for use in studying the Bible http://koehnsoftware.blogspot.com/ . Thank you for checking these out. Interested in learning more about TBM and how we serve our missionaries like God’s Provision Is Great!